FinTech is set to revolutionise and reshape finance. Everyone is talking about FinTech, and everyone wants to invest in it. Venture Capitalists are pumping investment into the FinTech ecosystem, with CB Insights reporting that last year FinTech investment tripled to $12bn – a growth of 400% since 2011. FinTech Rising, a webinar hosted by Finextra in partnership with Yodlee Interactive, painted a picture of the challenges and opportunities in the finance sector for both banks and startups. FinTechs are unbundling and transforming the entire financial industry. Whether they are disrupting or collaborating, banks are becoming increasingly aware that FinTechs are able to offer their customers alternatives in core areas of their business – and in many cases, can do it much better. Collin Canright, Principle, Canright Communications explained that the whole landscape is wide open for disruption, but is not without its challenges. Banks are highly regulated, weighed down by legacy infrastructures and are typically slow to respond – particularly in a fast-changing market. To solve these problems, larger banks have joined forces with FinTechs, either setting up accelerator programs, or by investing or buying startups to integrate into their existing business models. By contrast, smaller and mid-sized banks are more likely to collaborate with FinTechs rather than trying to absorb them. FinTechs lack regulatory and operational experience and encounter issues with accessing payments and financial systems. Partnering with banks or joining their accelerator programs offer solutions to these issues, but may stifle startups. Banks are able to offer a wealth of experience in both regulation and operations, and have the licences that FinTechs need to ensure compliance. In addition to this, banks hold vast amounts of data and possess the knowledge of how to manage customer service on a colossal scale. FinTechs bring agility, innovation and mobility, as well as offering banks ways of improving user experience and design. Crucially, FinTechs offerings appeal to millennials who are more demanding, and expect their experience to be delivered in an engaging and relatable way. Areas cited as ripe for collaboration within the financial sector are mobile, lending, investment and wealth management, and B2B payments. The payments sector has already seen a great deal of disruption, with P2P payments and mobile payments increasingly becoming part of a normal way of life. With the Faster Payments network edging ever closer to opening up in both the UK and the US, and with more investment pouring into cryptocurrency and blockchain technology, 2016 could be the year that we see the payments landscape change forever. Collaboration with banks is not the only route available to FinTechs. 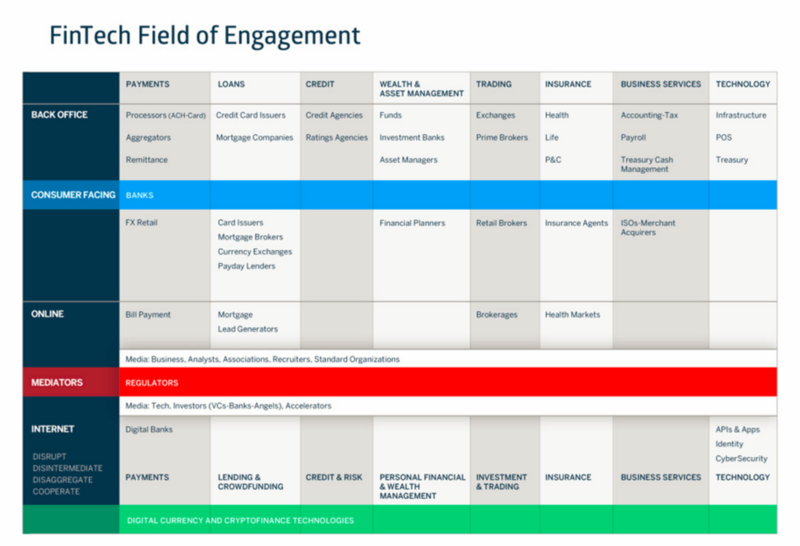 Alternative banking models, like Banking Circle, can help FinTechs to extend their value chain while eliminating concerns around compliance and regulation.